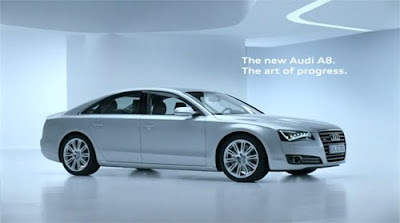 Video: 2011 Audi A8 TV Commercial - "The Art of Progress"
Audi has always been known to create fantastic commercials; most of which are targeted straight to the emotional core of a car buyer. There have been few Audi commercials that truly haven't made us say "wow." This latest TV-spot for the all-new A8 is no exception.